Toll free numbers will also help the marketing team to better identify potential customers. As opposed to local numbers, the toll free numbers use Automatic Number Identification (ANI) to capture caller IDs. Business enterprises are ever on the look-out for effective marketing strategies to boost their sales more so, in today’s fierce competition scenario. 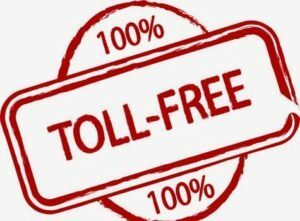 Successful utilization of modern technological facilities can arm a business to significantly edge out competition and help to enlarge the customer base.One technology that readily comes to mind is the use of toll free numbers. Mere mentioning of toll free number in your trade ads will fetch you 40 percent more responses than ads that carry no toll free numbers. This fact has been conclusively proved through several research surveys. Prospects have a natural inclination to instantly respond when they are not required to pay the call charges. It is for you to exploit this opportunity and optimally benefit from your toll free number.Certain other studies have revealed that 45 percent of the public had a higher recalling capacity of toll free numbers as opposed to web addresses. .The writing on the wall is clear – a business may be losing out terribly if they choose not to have a toll free number. Toll free numbers are becoming increasingly commonplace and customers legitimately expect a business house to have a toll free number. Prospects are reluctant to contact a business organization that does not provide a toll free number. When a business house fails to offer a toll free number, prospects are most likely to pass on to the ones that does. This means a company can simply lose business due to lack of toll free telephone number. Can such a situation be tolerated in today’s fierce competition scenario? If used judiciously, a toll free number not only meaningfully increases sales revenue, but also provides a cost-effective solution to high-end advertising. Most start-up businesses have a limited budget and would need s a viable option to promote and popularize its products/services. A personalized, 800 number is the most splendid way to showcase products and services. This will save on costs, promote company identity and generate rewarding sales leads.Till a decade ago, toll free numbers were considered as luxury and were only used by large corporations. However, with landlines becoming outdated like the way of the telegraph, businesses must think anew about the communication facilities they offer. Business owners can easily obtain a toll-free number for a low monthly/annual rate. In fact, some service providers offer packages that include a number of incoming minutes absolutely free.